It’s no secret that mainstream press coverage of gun ownership in the United States tends to be in favor of gun control – especially when those reporting on the topic are not firearm owners themselves. Journalists focus on how many people are killed by guns, how many children get their hands on improperly stored firearms, and how many deranged individuals go on shooting sprees. This anti-gun news bias is widespread among the “urban elite” who have very little personal experience with guns and yet write for influential newspapers like The New York Times, Washington Post, etc. 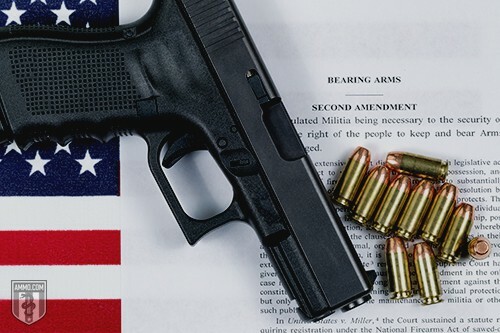 Despite this bias, law-abiding private citizens owning guns does have positive impacts on American society that often go unreported – many of which are significant. Perhaps the most notable impact of gun ownership on American society is how it influences the behavior of criminals. Police are rarely onsite during a crime. Police are bound by policy and procedures, and are trained to only use their firearms if it’s absolutely necessary. Civilians are also less trained. In a research study sponsored by the United States Department of Justice, James Wright and Peter Rossi interviewed over 1,800 incarcerated felons, asking how they felt about civilians and gun ownership. Thirty-three percent of these criminals admitted to being scared off, shot at, wounded, or captured by a gun-owning victim. Sixty-nine percent of them knew at least one other criminal who had similar experiences. 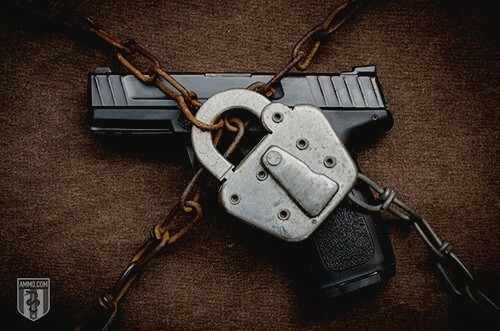 Nearly 80 percent of felons also claimed that they intentionally avoid victims and homes that they believe may be armed. This shows that at least one in three criminals has been deterred because of an armed citizen, and that four out five avoid victimizing people that have guns. Most people realize that law enforcement cannot be everywhere, yet so many rely on nothing but a 911 call to protect both their home and those inside it. For those who live in remote areas, it can take an hour or more for first responders to arrive after an emergency call, but in most cases, even five minutes is too long. But when a homeowner is armed and trained, the sense of security increases. Thanks to modern psychology, we know that people need this sense of security in order to grow and develop into healthy adults. Not surprisingly, privately owned guns provide that. Sixty-three percent of Americans now believe that having a gun in the house increases safety. While some may dismiss the importance of feeling secure and safe, or claim that another person’s desire for safety makes them feel unsafe, it is by far the most basic of human needs. And without it, people are left feeling frightened, angry, and defensive – often unable to reach, or even focus on, higher goals. Concerning public safety, the media often portrays guns as the primary problem – stating things like, “Guns kill people” or “Guns are not the answer.” But gun control and restrictions are also not the answer. Whenever a community, city, state, or country has imposed a ban on guns, regardless if it was all guns or simply handguns, it has experienced an increase in murder rates. In 1997, Wales and England saw a nearly 50 percent increase in homicides immediately after implementing a ban on handguns. Gun control advocates promote the idea that more gun policies and regulations make Americans safer, but it’s naive to believe that any type of law will stop someone set on murder or other criminal activity. The individuals that engage in these types of criminal behaviors do not obey laws, and are therefore rarely impacted by policies and procedures. But these implemented gun control laws do impact the law-abiding citizens who are only trying to protect themselves and those they care about. Every year, one million American home and business owners utilize a privately owned firearm to protect their property and lives. And when it comes to protection, resisting a crime with a gun is the safest route for victims. It’s associated with lower rates of both victim injury and crime completion than any other victim action. American criminals are also less likely to burglarize an occupied home due to fear of the homeowner being armed. In England, where only around four percent of the general population legally own a handgun due to heavy restrictions, 59 percent of homes are occupied when the burglar breaks in, compared to approximately 28 percent in the U.S. Even if the homeowner did own a gun, he or she would have to unlock it from its safe, then unlock another safe where the ammunition is kept, then load the weapon before self defense would be possible. In 2009, 13 years after the country’s handgun ban began, its handgun crime levels had nearly doubled. After personal and home protection, the biggest impact of gun ownership on American society is mass shootings. Since 1950, all but just over one percent of mass public shootings occurred in gun-free zones. That means perpetrators are likely to know they’re safe and could intentionally be choosing these places to act out their massacres. Also, immediately after right to carry concealed laws are put in place, the amount of mass public shootings fall dramatically. Not only does their frequency fall, but because people have the ability to carry firearms, they therefore can stop the perpetrator – limiting the impact of violence and destruction. Within the last two decades, this has happened numerous times across the country, including at a middle school dance in Edinboro, Pennsylvania and the Trolley Square Mall in Salt Lake City, Utah. What’s more, when police were interviewed regarding their position on gun control legislation, around 90 percent stated they believed that during an active shooter incident, having well-trained, armed citizens present would decrease the casualties. More than 28 percent agreed that more permissive carry concealed policies would be beneficial to the public, especially when it comes to large-scale public shootings. For the counter-argument that states an armed civilian is likely to increase the causalities of a mass shooter incident, there is a risk of this – just as there is an increased risk any time police are involved in a shoot-out. But remember, if there’s an armed shooter, things are already bad. And without interference, things are going to get worse. While the philosophy for protection during one of these situations is always run, hide, fight, if you’re fighting for your life, having a gun on your side is more beneficial than anything else. Because criminals fear citizens with firearms, gun ownership does have a dampening effect on crime. Not only is it a deterrent, but every time an intruder is shot, injured, or captured by a civilian, he or she is less likely to commit another crime. Consider this: In 1966, 2,500 women in Orlando, Florida, went through a specific, highly publicized handgun training. Without anything else happening, the prevalence of rapes fell substantially from almost 36 rapes per 100,000 women to four. Other crimes, such as home burglaries, also fell – demonstrating that the private ownership of guns does deter crimes. In 2014, America saw a switch in how people thought about gun control. For the first time since gun control became an issue, more Americans believed that protecting gun rights was more important than controlling gun ownership, 52 to 46 percent. That’s important because according to the U.S. Constitution, the right to bear arms is an inalienable right and an inherent part of the right to life. Once this right is violated by either another individual or the state, the ability to protect oneself from danger and even tyranny is impeded on. And when that happens, the ability of private citizens to protect the Constitution and the rights it enshrines for all Americans is threatened. Having the ability to forcefully fight back against a tyrannical leader with guns - not just words - is what gave the colonists the ability to overthrow British control of the American colonies. 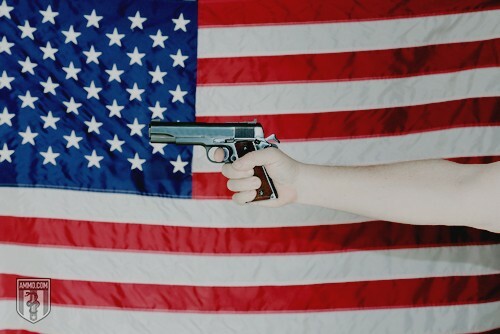 Without guns, we would not have become the United States of America. The Founding Fathers understood this, and wanted to ensure that future generations of Americans could defend themselves against all threats both foreign and domestic. It may seem ridiculous to think that in today’s world, citizens could rise up against the government simply because of privately owned guns. Yet the argument stands that citizens having guns does restrain the power of government. History has shown that when gun restrictions and bans are implemented, it leads to tyranny. 1911: In Turkey, the Ottoman Empire killed 1.5 million Armenians. 1929: Soviet Union implemented gun control, and after 20 years, killed over 20 million dissidents. 1935: After 17 years of gun control laws, 20 million dissidents were killed in China. 1938: Nazi Germany enacted gun control laws for Jews and by 1945, had murdered 13 million Jewish people. 1956: In just two years after gun control laws were enacted, one million people were killed in Cambodia. 1964: In a nine-year span after gun control, Guatemala killed over 100,000 Mayan Indians. 1970: In Uganda, 300,000 Christians were killed after gun control was implemented. 1994: The government of Rwanda disarmed the Tutsi people, and executed almost one million of them. What has the 20th Century shown us about gun control? That an unarmed country is not a safe country. That when citizens don’t have the right to bear arms, governments can and do grow too large and become a threat to their people. That in the 20th Century, governments murdered four times as many people as those that were killed in all the world’s wars during that same time period. That millions more people were killed by their own governments than by criminals. Arguments in support of the anti-gun campaign can seem strong. After all, they talk about gun control saving the lives of children, stopping school shootings, and putting an end to terrorist attacks. But the fact is, this is just rhetoric and much of it is exaggerated and skewed. Here’s the truth behind the most common anti-gun arguments, especially when it comes to individual and public safety. Yes, civilian-owned guns often play a role in suicides. And yes, gun control policies do seem to lower the prevalence of gun suicides. But gun control does not impact the number of people who commit suicide nor the total number that occur. Research shows that when guns are not available, those intent on hurting themselves find other, just as fatal ways to do it. More gun regulation does not lessen these numbers. A favorite statistic used by those in favor of gun control is that when a person has a gun in the home, he or she is 43 times more likely to shoot and kill a family member than an intruder. This statistic is based off of one study done in Seattle in 1986. Shooting of a family member included firearm murders, suicides, and fatal accidents and was compared to court-ruled justifiable homicides. Now, of those 2.39 family deaths, some are accidents and some are murders. Just like the absence of guns doesn’t reduce the risk of suicide, when someone is bent on murder, chances are he or she is going to follow through regardless if it’s with a firearm, a knife, poison, or other means. Lastly, these are deaths compared to deaths, and when discussing self defense and protecting both yourself and home, it often doesn’t lead to death. Wielding a firearm alone is enough to turn many criminals away. And many who use a firearm in self defense shoot to injure, not kill. The study also didn’t account for those cases when a homeowner was acquitted on grounds of self-defense. Therefore, this number represents the number of dead criminals, not those that were captured or deterred. So what does this mean for America? It means that guns and the law-abiding citizens who carry them make and keep it a safer country. It means when a criminal knows you’re carrying a firearm, you’re less likely to become a victim. It means that there are positive benefits of gun ownership for Americans and that gun legislation is not the best way to safer streets. *If you know that someone in your home is severely depressed or having suicidal idealizations, access to firearms should be completely restricted. This is also true for knives, ropes, and all medications – including those that can be purchased over the counter. Seek medical assistance as soon as possible.